I love it when a suite of products go together so effortlessly. The Gingham Gala Paper and Sequins match perfectly. 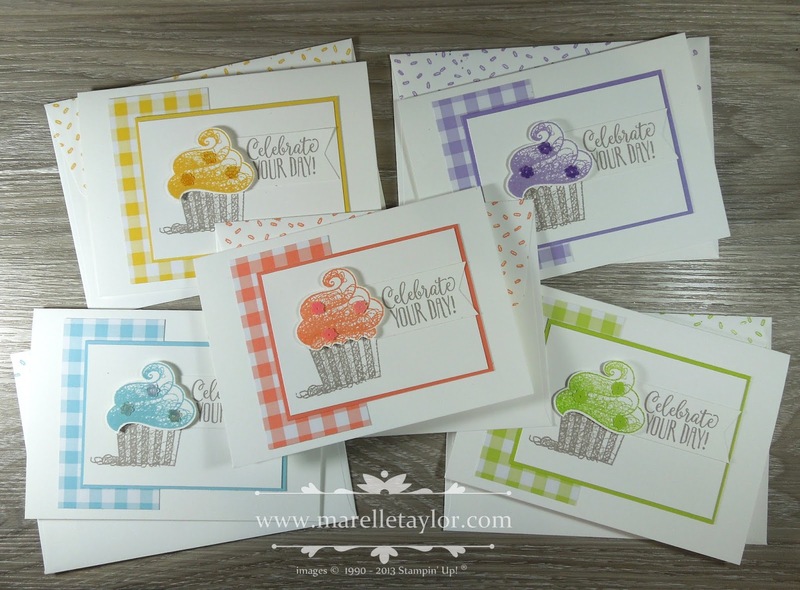 I combined them with the Sale-a-Bration Hello Cupcake stamp set for some Team birthday cards last month. Those cupcakes look almost good enough to eat!